Schwervon! 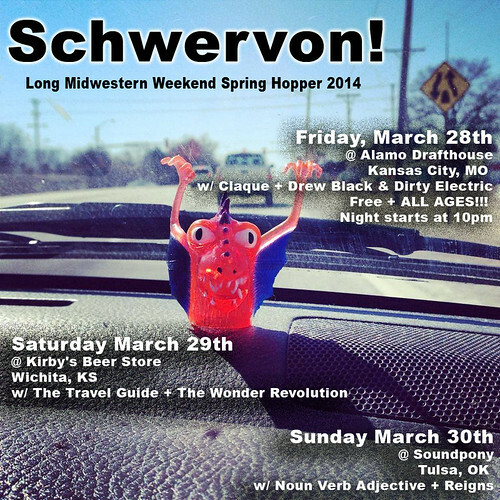 Long Midwestern Weekend Spring Hopper 2014 | Schwervon! This entry was posted in Uncategorized and tagged Alamo Draft House Kansas City, Crazy Kansas, Kirby's Beer Store, midwestern music, Oaklahoma Rock, Schwervon!, Soundpony, Spring Hopper, Tulsa, Wichita. Bookmark the permalink.